It’s been a little while since Franz Ferdinand has released an album. Their last release as a band was the studio album Right Thoughts, Right Words, Right Action in 2013. In the meantime, they released FFS in 2015, a collaboration with the band Sparks. Since their previous album, the band has changed its lineup. While Nick McCarthy, a founder of the band, did leave, the band gained a music producer and two new full-time members for this album. With their most recent disk, called Always Ascending, there are obvious differences from Franz Ferdinand’s most popular hits. The first notable impression from the album is that all of the songs are brand new. Each one of the songs provides a unique feel compared to previous albums. Despite this, the album still feels really short with only 10 songs. Instead of a more pop feel to each song, each one feels ambiguous in its own way. This ambiguity can be felt through much of the lyrics. Only a small selection of tracks have distinguishable phrases that are remotely coherent. Even when the lyrics are clear, this is where the band falters. Much of the lyrics of the record feel repetitive and blur the meaning of the songs. Whether the lyrics were affected or not by the recent band member change-up, it doesn’t do the album any good. Each song feels like it lacks meaning, though that meaninglessness could be an intentional part of the album. Out of the distinguishable lyrics, they all convey a theme of being lost and found. For example, “Finally” details the feelings of belonging with similar people. While this is one of the most pumped up songs, there are sad songs too. In terms of sadness, “The Academy Award” has the most emotional lyrics and pattern. While it details someone winning an award, there is a somber guitar and tone of voice. The track underlines the disconnect between life and just having a good time. Due to the consistent lyrical style, each song blurs into the next without much effort. Despite the album being named after one of its tracks, the band has expressed their distaste for singles. I was unable to pin exactly one song that stood out. For example, “Glimpse of Love” feels like they might as well be speaking in another language. The intonation and style of the voice create a mesmerizing effect with the beat. This could be said for any song on this album. For anyone who fears that the band has lost their quick-paced style, fear not. Almost all of the tracks have a moderate to quick pace. The only song that breaks this beat is the worst on the album, “Slow Don’t Kill Me Slow.” The track never picks up the pace much and the lyrics are dull and unoriginal. This might be due to the fact that it feels incredibly mellow. However, the song still very misplaced and irritating within the album. On the contrary, “Paper Cages” fulfills many of the band’s rock elements. It has unique lyrics, a variety of instruments, and a good pace. The song is the catchiest up to this point on the album. Furthermore, the track features the most cohesive lyrics on the album. It is an incredibly rebellious song about how in order to break out a typical life, that person must recognize that they are still are within their own cage. If the album had to choose another name, “Paper Cages” would have been perfect. 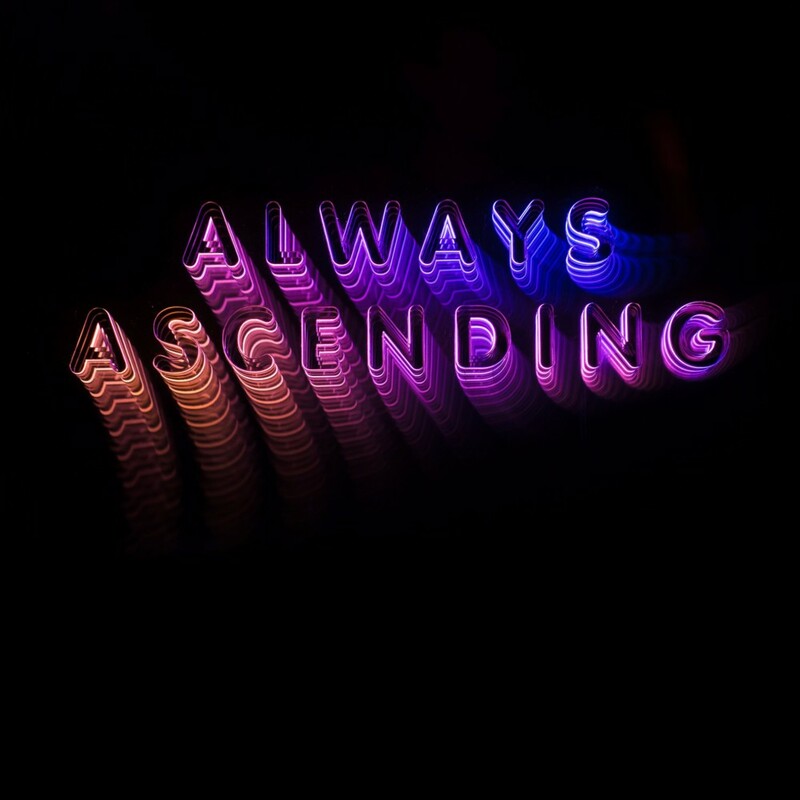 Overall, each of the songs on Always Ascending feels different from Franz Ferdinand’s past hits. Even though these songs might not be iconic as “Take Me Out,” they are still great songs. The mysterious feel of each track creates a sense of mesmerization that not many alternative songs have today. Franz Ferdinand’s album still has the sense of creating something that no one has heard before. Whether or not this is a good thing depends on the listener. Personally, I think the album truly embodies the indie vibe. The genre in which Franz Ferdinand is placed suits their experimental style. By using echoing voices, synthesizers, and drawn-out guitars riffs, the album hits most of the hype surrounding its release. Bands are meant to evolve and Franz Ferdinand has adapted their style quite well. 'Always Ascending' is a fresh take on Franz Ferdinand’s more pop roots. While there aren’t any standout hits, each song provides a unique emotional experience for each listener. This is due to the unique mesmerizing and powerful use of the beat. For old fans and new, the band has created a new image that is set to satisfy.